Throw out your tart pan and cake servers. Just like layer cakes gave way to cupcakes, the new way to do tangy tarts is in bite-sized pieces that you can pop in your mouth. I highly suggest making a batch of these before summer is over. In a small bowl, combine graham cracker crumbs, butter, brown sugar and salt. Mix until crumbs are wet. Coat a mini cupcake tin with non-stick spray, then drop around one tablespoon of the graham cracker crust mixture into each cup. Pack down crumbs firmly into the pan with a shot glass or something similar. Chill the pan in the fridge until ready for filling. In the bowl of a stand mixer, combine the cream cheese (make sure it's very soft to avoid lumpy filling), condensed milk and Egg Beaters, and beat until smooth. Add the lemon zest and lemon juice and beat until combined. Microwave a small glass of water until the water is boiling hot. In a small bowl or ramekin, combine the gelatin and three tablespoons of hot water by pouring the water on top of the gelatin powder. Wisk with a fork until dissolved, then let cool for 2 minutes. Add the gelatin mixture to the cream cheese-lemon mixture and mix on slow speed until well incorporated. 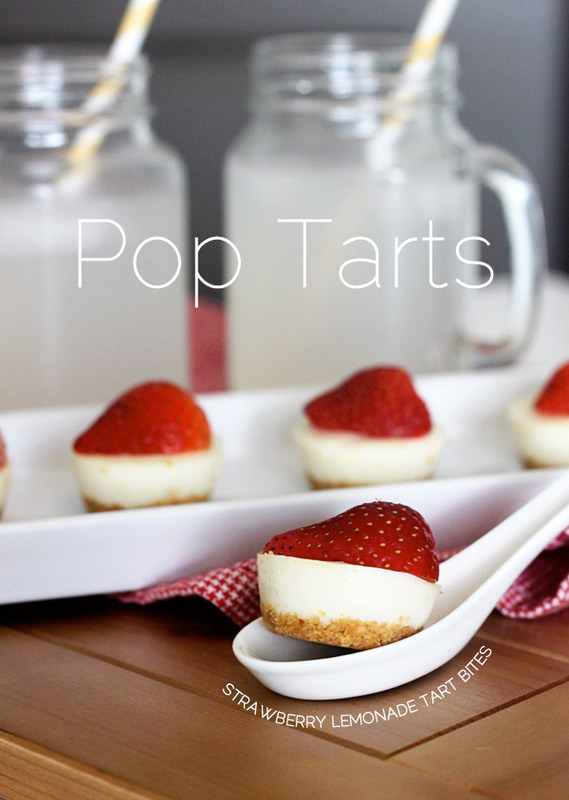 Remove the pan from the fridge, and pour the filling into each mini cup on top of the graham cracker crust. Place the pan back into the fridge and let chill for 8 hours or overnight until the mixture is set. 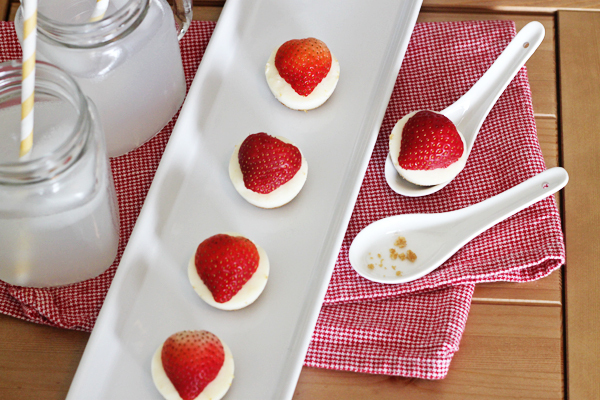 When ready, remove the tarts from the pan by gently running a small knife or toothpick around the edge of each cup. 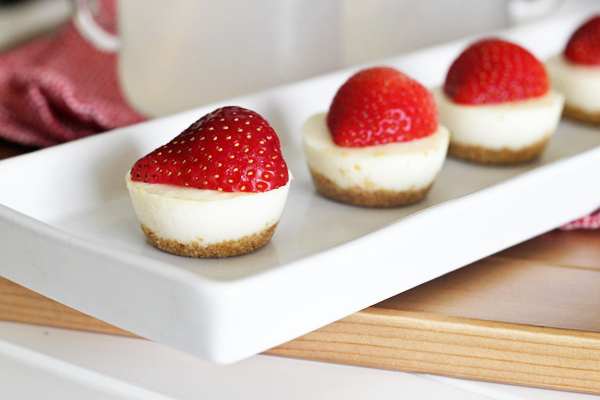 Top each tart with half a strawberry and serve.